An unusual story this morning out of Taiwan, where we learn of a 20-year-old female who was diagnosed with an avian H6N1 strain of influenza in May. She was hospitalized with mild pneumonia on the 8th, treated with oseltamivir (Tamiflu ®), and released from the hospital on May 11th. No doubt, this case was picked up due to enhanced surveillance for the H7N9 virus after the outbreak in China, and the subsequent importation of a case to Taiwan in April. First some extended excerpts from the Taiwan CDC press release, and then I’ll return with a bit more about `oddball’ human infection with avian flu strains. On May 20, 2013, the Taiwan Centers for Disease Control (Taiwan CDC) received a report from a hospital concerning a case of human infection with unsubtypable influenza A virus in a 20-year-old female presenting mild pneumonia who resides in central Taiwan. The virus isolated from the respiratory specimen from the case was then submitted to Taiwan CDC for further identification. After conducting whole genome sequencing, the National Influenza Center (NIC) at Taiwan CDC identified the virus to be a novel avian-origin influenza A (H6N1) virus. A total of 36 close contacts of the case have been traced for follow-up. 4 of them experienced influenza-like illness symptoms, but none of them has been found to be infected with influenza A (H6N1) virus. Taiwan CDC continues to closely monitor the influenza activity and advises the public to seek immediate medical attention when experiencing any influenza-like illness with respiratory distress. According to the epidemiological investigation, the case works at a breakfast shop. She has not traveled out of the country and has not been exposed to any poultry or bird. On May 5, she developed symptoms, including fever, cough, headache and muscle ache. On May 8, when her fever persisted and she developed shortness of breath, she sought medical attention at a hospital and was hospitalized for treatment. Her chest X-ray showed mild pneumonia. After administering Oseltamivir, her symptoms improved next day. On May 11, she was discharged from the hospital. As of now, she has fully recovered. Influenza A (H6N1) virus was isolated from the respiratory specimen collected from the case on May 7. The case was found to have an antibody titer of 1:20 in the serum specimen collected on May 24. Another serum specimen was collected from the case on June 8 and the antibody titer in this specimen was found to be 1:40. Besides testing the respiratory specimen collected from the case for influenza viruses, the NIC also tested the specimen for 23 other common respiratory viruses such as adenovirus, respiratory syncytial virus, coronavirus, enterovirus and rhinovirus and the specimen tested negative for all these viruses. The agricultural authority has collected specimens from the poultry from the two poultry farms located within the 1-km perimeter of the case’s residence. No avian influenza A (H6N1) virus has been detected in any of the specimens. 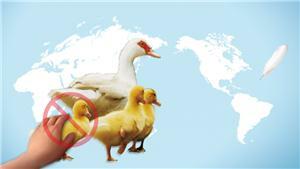 Avian flu infections in humans are rare, and most have been due to H5N1, H7N7, and H7N9 strains. Even less common, we’ve seen a few human infections with H9N2, H7N2, and H7N3 over the past decade. But surveillance and testing for `oddball’ flu strains – even in developed countries – while improving, is spotty at best. It is likely that occasional `one-off’ human infection with unusual avian strains happens with some regularity, and no one is ever the wiser. Last year, in EID Journal: Human Infection With H10N7 Avian Influenza, we saw a report of two Australian abattoir workers infected with H10N7 (7 workers were symptomatic). All the cases were mild, and the abattoir has instituted new policies requiring PPEs (personal protective equipment) for employees who have direct exposure to birds and carcasses. While rare, human infection with H10N7 isn’t completely unheard of. In Egypt - in 2004 - 2 infants were shown to be infected by the H10N7 avian flu virus, as well. A fascinating bit of research, published in 2006 in the CDC’s EID Journal , looked for avian influenza antibodies in duck hunters and wildlife professionals. While antibodies to the relatively rare H11N9 virus were detected in these 3 individuals, antibodies for the far more common H4 and H6 avian viruses (known to circulate in American ducks) were not. Which begs the question, why not? One theory is that humans are less likely to develop long-lasting antibodies when exposed to avian-type influenza viruses. In 1991, Beare and Webster published a study where 40 volunteers were inoculated with three avian influenza strains (H4N8, H6N1, and H10N7). While 11 subjects had mild clinical symptoms, none developed a detectable antibody response. Replication of avian influenza viruses in humans. Clinical Research Centre, Harvard Hospital, Salisbury, Wiltshire, U.K. Volunteers inoculated with avian influenza viruses belonging to subtypes currently circulating in humans (H1N1 and H3N2) were largely refractory to infection. However 11 out of 40 volunteers inoculated with the avian subtypes, H4N8, H6N1, and H10N7, shed virus and had mild clinical symptoms: they did not produce a detectable antibody response. The relative lack of antibody response in our study population, who had substantial exposures to waterfowl with influenza A infections, and in inoculated volunteers from Beare and Webster (12) suggests that avian influenza infections in humans exposed to wild waterfowl may occur more commonly than we are able to detect with current methods. 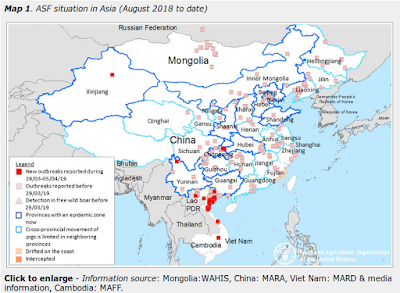 With testing methods improving every year, and greatly ramped up surveillance due to H7N9 avian flu and MERS-CoV, I wouldn’t be at all surprised to see more of these `incidental’ avian (or swine) flu detections in the months to come. As these viruses tend to produce mild symptoms, and only rarely transmit onward in humans, most will pose no substantial public health threat.